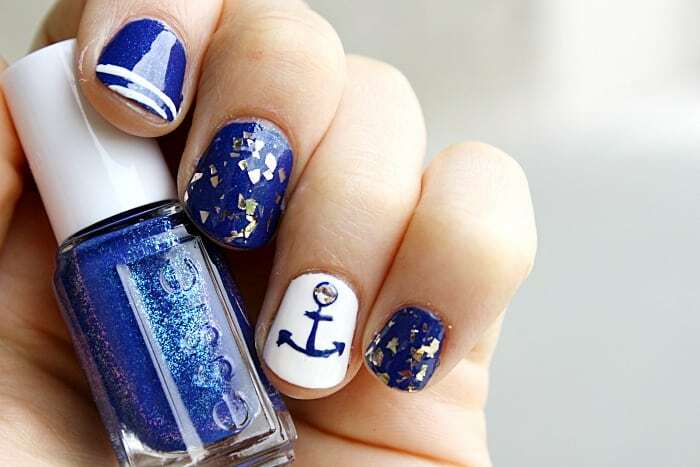 Painted nautical nails are a must for summer and we have some new summer nail designs to share with you, including a nautical nail art design. Whether you enjoy flowers, abstract designs or just color, now is the perfect time to showcase some new summer nail colors and designs. Essie has a new line of nail polish perfect for summer and these blue and purple nail designs and colors are inspired by the little island of Antigua, and certainly possess the characteristics of sun, sand, and maybe a palm tree or two. Loot the Booty is a beautiful blue from ESSIE that just screamed nautical nails! It also has a fair amount of shimmer to it and looked great beside the Coconut Cove White. Viva Antigua is a turquoise blue with gold flecks infused in it to give off some shimmer. This color is so perfect for summer nail designs and as soon as I saw it I knew it wanted to try it for a palm tree design. I kept it simple so you can get a good view of this amazing polish. Check out this PALM TREE PEDICURE. Next, I used Buried Treasures, which is a coral color. This is one of those staple colors for summer and it applied nicely in two quick coats. If you don’t already have something near this shade, this is a great one to grab up for those summertime toe nail designs. 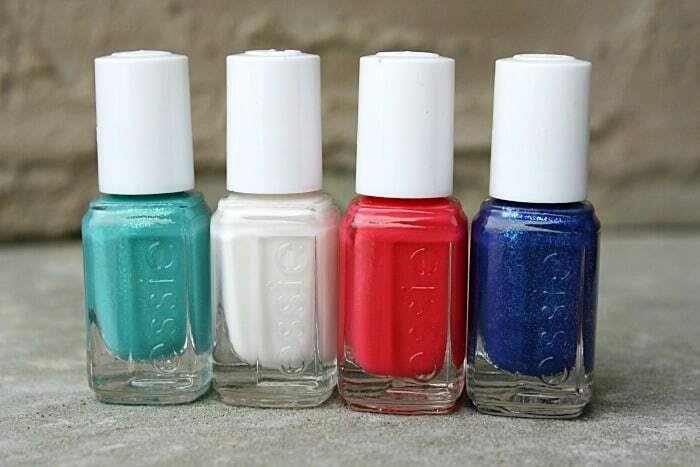 Mini nail polish bottles from ESSIE are perfect if you’re not ready to commit to a big one. I mean, what if you’re a little skeptical of the color? Or just don’t paint your nails very often? Mini polishes are perfect for cases like these, and the quality is never less than what you receive in the normal size. My favorite nail polish color is electric blue! I prefer a light pink or a neutral color for my fingernails but a brighter color for my toes. 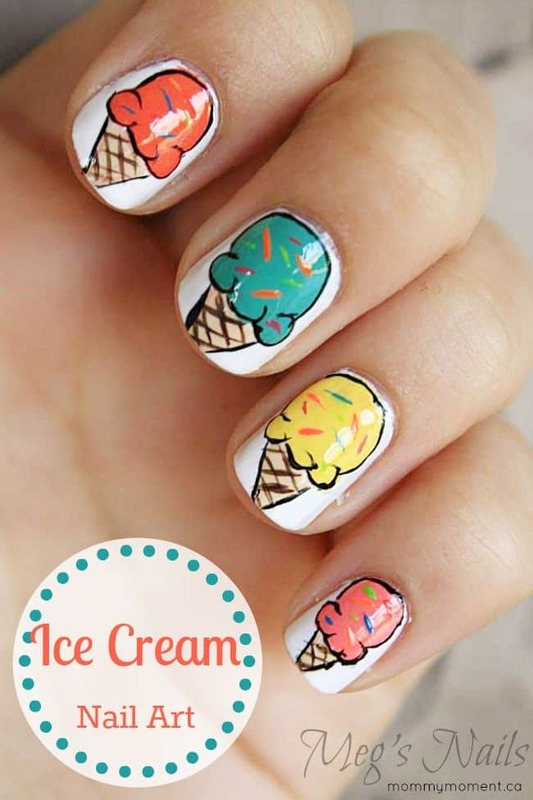 really love those ice cream cone nails, and the orange cone makes for my fav colour too. My Favorite color is Viva Antigua. I think the Viva Antigua is my fav from this collection – but they are all so pretty! MY favourite Nail polish colours is blue and turquoise. Sorry had to pick 2! I love the Loot the Booty colour!! I love at lot of ESSIE’S nail colors but right now my favourite is SURE SHOT!! I like the coral colour. I love Princesses Rule by OPI. It’s my go to colour always for my hands. on my toes I like to wear brighter shades and I do love the coral-y shades. That turquoise is stunning! I love Loot the Booty ! I love the electric blue, but also any unique colour. Not so much a place pink person. Love the bright colours for summer time! My favorite colour is Viva Antigua , love turquoise . I’m in love with purple nail polish. The Viva Antigua you used is really nice! My fave is essies turquoise & caicos! My favorite nail polish color is purple. I enjoy darker pink shades. My favourite nail polish colours are pinks and bright reds. I’m a neutral polish lover, my favourite is Essie ballet slippers. viva antigua (above) is really nice for summer! My favotite Essie Nail Color is Loot the Booty. Blue is my favorite color, and on trend this summer. Love corals and blues in the summer. I don’t have a fave. colour-I like all sparkle colours and no pink! I love the berry & coral colours! I love the viva Antigua. I love blues, gray/silver & dark purples! I usually use a natural color. Love showing off my nails. If I do use a colour I love Purple! I like the colour Berried Treasures. Loot the Booty is a fabulous colour! Right now, I am rockin’ the purple toe nails. The Viva Antigua is really pretty. I love deep red, blues and purple nail polish colours. My favorite is the Viva Antigua so pretty! I love the Loot the Booty colour. I like a dark pink colour best. I love, love, love the Viva Antigua color, I want everything I own to be that color and sparkle! I like all kinds depending on the seasons, but the darker the better as you need less coats! My favorite color is Essie Beach Bum Blu. It is really hard to pick a color because there are so many great ones to choose from. I love the Viva Antigua. Its just beautiful. My favorite nail polish color is pink. My daughter and I have fun experimenting with fun colors. We love your details! I like to stick with dark colours, but I’m loving the matte look right now. My favourite is dusty purple. I love the Viva Antigua you tried! Really, any turquoise or robin’s egg color is my fave, or a nice vampy retro red. Out of the set you used here Buried Treasures is my favourite! I really like light pink and purple polishes too. My favourite is coral. Perfect for summer! I like pink coloured nail polish. I love corals for the summer! I love a classic red polish. I love the French manicure the most but when using colour… Red tops it. I love the aqua blue colors for my nails. Currently wearing a Lilac – ish colour. Anything purple!! I like pink and glitter! 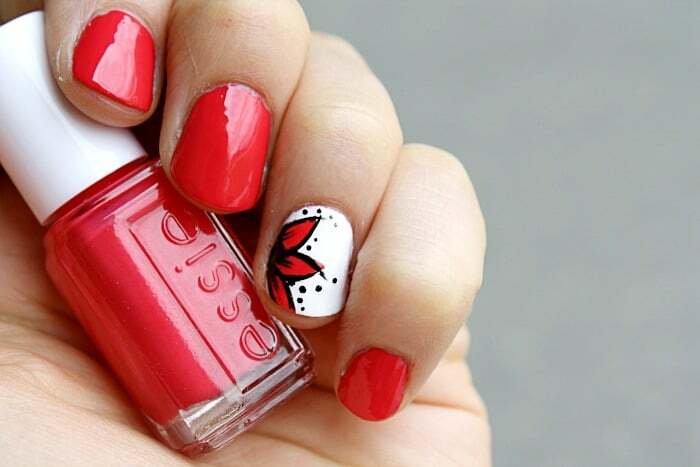 I prefer the classic nail colours…pink, red, coral, etc. I like dark polish. Lately it has been grey. Anything purple works for me. All the colours look really fun! My favourite nail polish colour is orange/coral, like Tart Deco by Essie. I love having red nails, but Viva Antigua makes me want blue nails! I love light aqua blue colours. I really like the burgundy, maroon colours. Thanks. My favourite colours are all related to red. I love blue colours and the Loot the Booty colour looks great. My favourite is Viva Antiqua. Beautiful. The Ice Cream is my favourite nail art design.